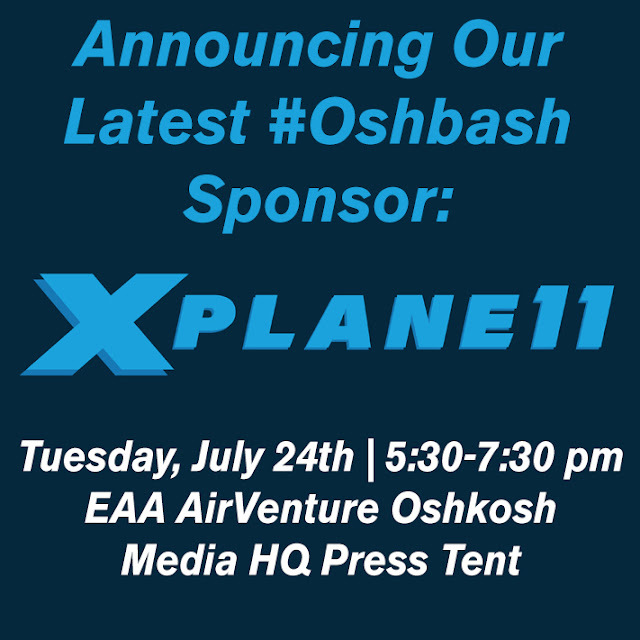 Airplanista’s annual #Oshbash Social Media Meetup event at AirVenture just got that much better with the announcement of X-Plane 11 as a new event sponsor. This fantastic news builds on the support of Sporty’s Pilot Shop, which is the #Oshbash 2018 major event sponsor. If you’re like me and have not used X-Plane in a while, you are in for a surprise. I am told their latest version, X-Plane 11, is the slickest version yet, which is hard to imagine since this sophisticated flight simulator has always been very mature and stable way to “fly” when the WX is 0/0 outside or you just don't want to burn a load of $6.00/gallon AvGas practicing turns around a point. The first version of X-Plane – released in 1993 – was developed to be as accurate as possible, and every version since then has delivered in that regard. The flight characteristics of the airplanes have always been great in my opinion, they do exactly what you expect of them. I will not go into a deep dive of how and why this happens, but you can be assured there is a LOT of math involved. I will have someone from X-Plane on stage at #Oshbash, so you’ll have to come to the event to find out what happens in the background that makes X-Plane so awesome. While the scenery and GUI has always been spectacular, what I really love is how easy it is to configure the sim to do just about anything you desire. When I was training for my instrument rating, I used the PlaneMaker app in X-Plane to build a custom panel for the Cherokee that was an exact match to my own Cherokee 235. Because Katy had a rather unconventional panel with instruments sort of thrown all over the place, being able to train at home with an identical panel really improved my scanning skills. 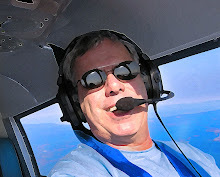 I believe X-Plane is the Gold Standard for desktop flight simulators, and it is a very good platform to learn to fly, practice advanced maneuvers, or just keep the rust from building up when not flying actual airplanes. 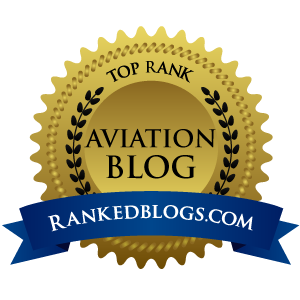 "X-Plane exists because Austin, our founder, and the rest of the team loves aviation, just like the #AvGeek community! We are super excited to be a part of #Oshbash, to connect with the people who think like we do. I believe that most people involved in GA and flight simulation have heard of X-Plane, but the image in their heads is from 2003, when the sim looked dramatically different. We wanted to sponsor #Oshbash because it is a great opportunity to show people the advancements that we are making in flight simulation, especially with the addition of Virtual Reality (VR) to the latest version of X-Plane." So if you are coming to AirVenture and plan to be on the show grounds Tuesday, July 24th, make sure you stop by the Media HQ Press Tent 5:30 – 7:30 p.m. to hear some great speakers, eat some free Pork Barrel BBQ Bacon Jerky, and chat up all your favorite #avgeeks you know from Twitter and other social media channels. You might leave the room with a free product key for X-Plane’s latest and greatest flight simulator, a super awesome Sporty's Air Scan Aviation Radio/Scanner or some swag. You can learn all you need to know about #Oshbash and get specific vectors to the venue here, or email me if you have any questions.